Totally Awesome 80s Man! 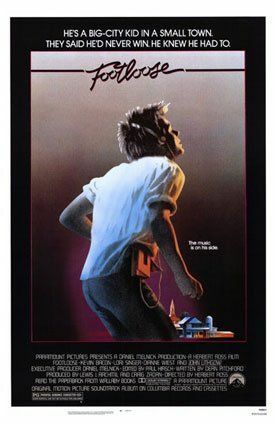 This is one of those movies that you watch as a guilty pleasure because if it's your favorite movie, you've got something wrong with you, but at the same time, it's just so much fun and 80s with throwbacks to the 50s it's awesome. (I was saying that in a way that has some sarcasm to it.) It's got some great songs in it that you just got to love. Sarah Jessica Parker is in it waaaay back in the day (it was released in 1984). It's part of the Six degrees of Kevin Bacon game. Even John Lithgow is in it. I got to see the musical when I was in New York once and it was a lot of fun. The acting as 2nd rate, but the hair is big and the clothes are great. It's a fun movie, and one you have to see at least once in your life.